196 pages | 23 B/W Illus. Smart Urbanism (SU) – the rebuilding of cities through the integration of digital technologies with buildings, neighbourhoods, networked infrastructures and people – is being represented as a unique emerging ‘solution’ to the majority of problems faced by cities today. SU discourses, enacted by technology companies, national governments and supranational agencies alike, claim a supremacy of urban digital technologies for managing and controlling infrastructures, achieving greater effectiveness in managing service demand and reducing carbon emissions, developing greater social interaction and community networks, providing new services around health and social care etc. Smart urbanism is being represented as the response to almost every facet of the contemporary urban question. The volume provides the first internationally comparative assessment of SU in cities of the global north and south, critically evaluates whether current visions of SU are able to achieve their potential; and then identifies alternative trajectories for SU that hold radical promise for reshaping cities. 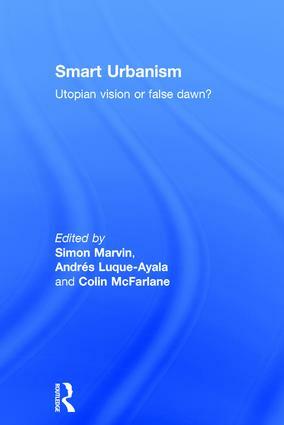 ‘Smart Urbanism’ is a major reference point in key debates about smart urban governance. The rich and theoretically informed case studies on the Global North and South as well make the book a must-read for graduate students and early career researchers in urban studies.